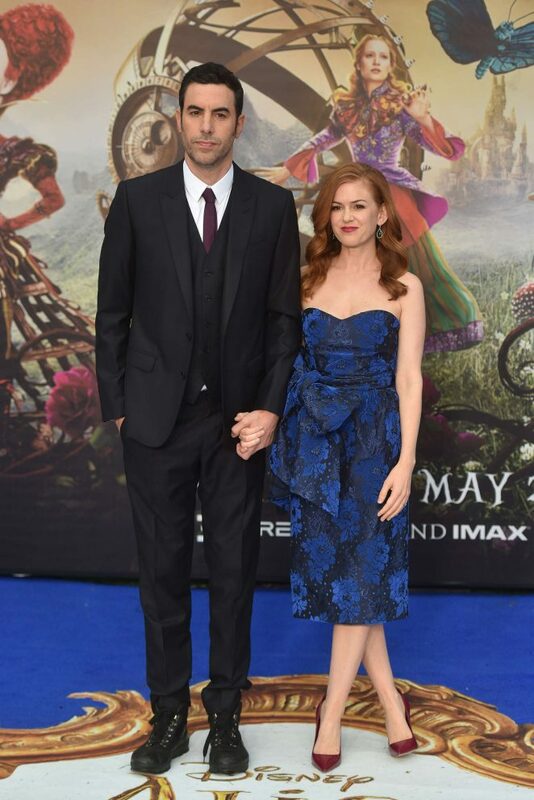 Isla Fisher attended the premiere of 'Alice Through The Looking Glass', held in London, with her husband Sasha Baron Cohen. The actress looked amazing, and flaunted her physique in a midi-length strapless blue dress featuring a sweetheart neckline. Isla's dress had a delicate floral detailed pattern with her waist cinched in with a huge patterned bow. Paired with her dress were deep red stilettos, and the mother-of-three matched her lips to her the colour of her footwear. Emerald drop earrings and auburn hair styled in side-parted Hollywood curls completed Isla's look for the premiere.